Match.com Launches New iPad App! 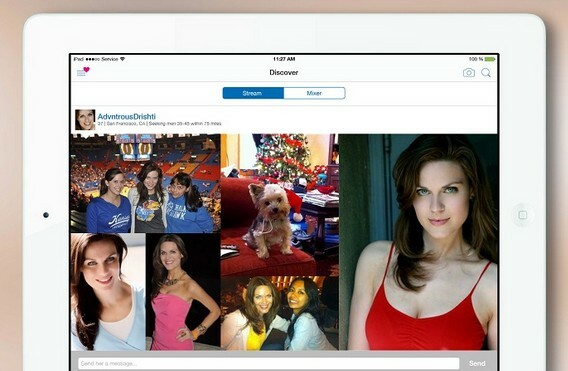 Home » Online Dating » Match.com Launches New iPad App. Match.com is one of the leading dating sites in existence and of course the largest dating site in the world as well and how they maintain their position of industry leader year over year is by adapting to the latest technologies and staying ahead of the pack. If you have not used Match.com in the last few years you might be pleasantly surprised to see just how adept Match.com has been at nailing the dating site user experience on an iPad. Today Match.com shared on their blog the news about their new iPad app. After giving it a spin I have to say that I was REALLY impressed! Match.com is of course available and very easy to use on all devices including the iPhone and/or iPod touch as well but notepads of course offer more space and Match’s new iPad specific app really takes that space and lays it out extraordinary well. Match.com Stream: Match.com stream is only available on iOS and how it works is really very cool! A unique algorithm all its own that offers up real local match.com members. Compare that to the desktop version of the match.com dating site where when you click on any users main photo and the rest of their photos open to the right. It’s truly a night and day difference. I LOVE IT! Match.com Mixer: What they refer to as Mixer is like a grown-up version of Tinder, swipe and contact singles far faster. Couple that with the size of the singles database at Match.com which is about 10x-100x larger than most other dating sites…and you actually stand a chance of really meeting someone. A good chance. New Features Called, ‘Grid search’ is super useful in being able to scan singles faster than most other dating sites! Enhanced Ease to Add More Pictures. Match.com now has shortcuts to add more images from multiple pages. This is not only great to save you some time but the singles community as a whole benefits with more recent and more photos overall. Get messages via notifications while using the app. You can now even purchase a membership or add upgraded features while you are using the app. That is new!